Buying or Selling on eBay to support South West Florida Horse Rescue! You can support SWFHR when you use eBay, with eBay For Charity. SWFHR is proud to be part of eBay For Charity, the charity auction program provided by eBay & the PayPal Giving Fund, their non-profit partner. Buy items where the seller has committed to donating all or part of the proceeds to a charity. Look for the charity ribbon icon in the item description when browsing for items, or find SWFHR in the Charity Shop and browse all listings that benefit us. Visit our shop and see what auction items support SWFHR. Make a donation to SWFHR during the checkout process when buying any item on eBay. Browse for your preferred charities and select SWFHR as your favorite, then every time you pay for items on eBay you’ll have the option to also make a donation to SWFHR. Donate directly to SWFHR with the Donate Now button. In addition to buying items that support our cause, you can also make an immediate donation via PayPal to SWFHR through the Make a Donation option. Donations are processed through the PayPal Giving Fund and affiliate of eBay and a way to donate with no fees. That’s right! The PayPal Giving Fund is one a few processors that charge no processing fees for donations. That way the charity receives the full amount of your electronic donation. Donations made during eBay checkout and Donate Now are tax deductible. Generally, you can’t claim a tax deduction for eBay for Charity items that you buy. If you’re unsure about your tax obligations, you should consult a tax professional with questions about your specific circumstances. eBay SELLERs can use eBay for Charity and it’s partner the PayPal Giving Fund to make it easy for them to donate some or all of the proceeds from eBay listings to SWFHR. Community Selling: You can donate up to 100% of your final sales price to support SWFHR. You can customize the donation percentage for each individual listing. 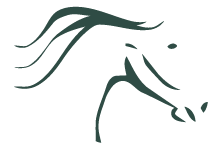 Just designate South West Florida Horse Rescue, Inc. to receive 10% – 100% of your proceeds the next time you list something great. Did you know that charity listings often get more bids and higher prices than regular eBay listings? Boost your sales and support SWFHR at the same time! Follow eBay For Charity’s step by step process here. Direct Selling: You can associate an eBay username with SWFHR. All sales associated with this username are considered Direct Selling for SWFHR, and 100% of selling proceeds will benefit us. Fees and fee credits for charity listings… eBay For Charities will give back to you, the seller, a fee credit sized to the charitable percentage chosen for every eBay listing identified to support SWFHR donation. Learn more about charity listing credits here.